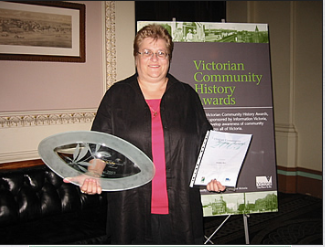 2003 overall winner of the Victorian Community History Awards in collaboration with Ann Synan for the book – “We Came with Nothing” and the radio series “Footprints in the Tar”. 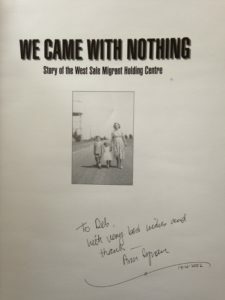 The West Sale Migrant Camp operated from 1949 – 1953, on a site just outside Sale, which had been used during World War 2 as an air force base. It was re-fitted in 1949 to receive displaced persons from Europe, mainly from Poland, Hungary, Russia, Austria, Czechoslovakia and the Baltic States. Around 700 people passed through the camp during its operation. Migrants were ‘bonded” to the Australian Government for 2 years and were used to offset the acute labour shortage following the war, to work mainly on public works projects. In Gippsland this included the timber industry out of Heyfield, the Sate Rivers and Water Supply Commission, The Maffra milk factory, the Gippsland Base Hospital, The Victorian railways and the State Electricity Commission of Victoria in the Latrobe Valley. Women and children remained in the camp and the men worked away during the week, returning for the weekends. The West Sale Camp has a school, shop, post office branch and medical centre. 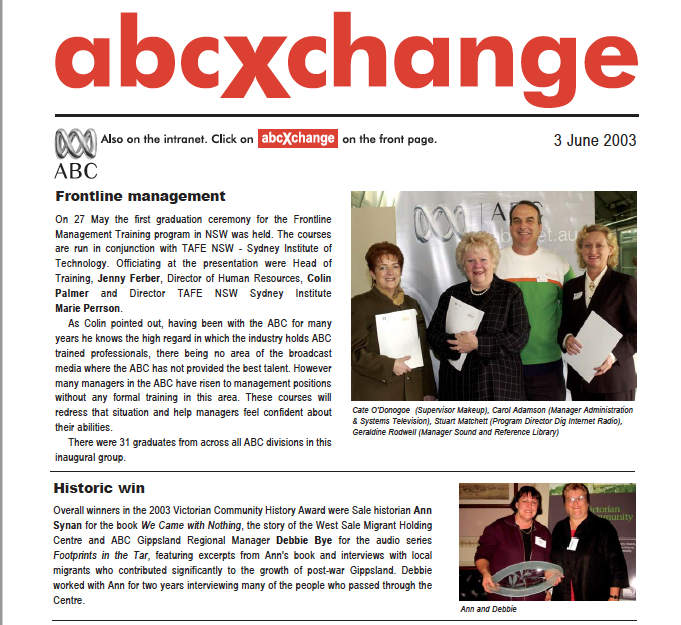 Many of these people have remained in the region. The West Sale Migrant Camp operated from 1949 – 1953. Around 700 people passed through the camp during its operation. 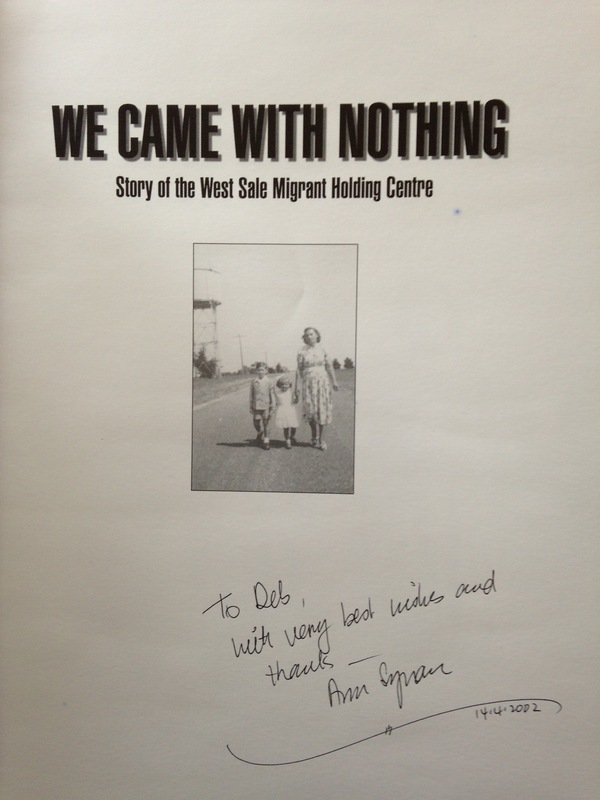 Now we continue our series FOOTPRINTS IN THE TAR – about the migrants who passed through the camp at West Sale from1949 to 1953. TALENT: Maria Rudowich now Maria Carrington, Lydia Gorney & her sister Xenya, Stephanie Smalera, Helena Klimas, Brunhilde and Wladyslaw Danischewski, and Victoria Norkas.